On my first Camino in April of 2013, I took a bus into Burgos. I hopped on city transit and rode less than 8 kilometers. Those 8 kilometers haunt me. I feel as if I cheated. I’ve added extra kilometers to make up for the shortcut. I’ve tried to rationalize it as, “my Camino,” the path that I needed to make. But it hasn’t assuaged the guilt. A small group of us made the decision in a split second. We were saying goodbye to a friend—after this last night, he would fly to Italy to start a new job. He wanted to be in Burgos in time for dinner. We didn’t want to miss out on the evening’s fun. We hopped on a bus and, well, that’s that: eight kilometers of self-loathing-guilt-trip. It started in the blink of an eye. I hadn’t walked as far as Bernard, who started in Strasbourg. I hadn’t walked as far as Julian, who started in Paris. I hadn’t suffered as much as Sheila, who was hobbled by injury. I hadn’t limped along on ruined feet like Frida, who deserved a day of rest to heal and wouldn’t take it. I’m a bit slow. Some would say, dense. It takes me a few times to get things. After two Caminos, I’ve still only learned a very few simple life lessons. Some people make pilgrimage only once and enjoy a life-changing epiphany. I’m just not that quick on the uptake. So, here are a few of the things I’ve learned. 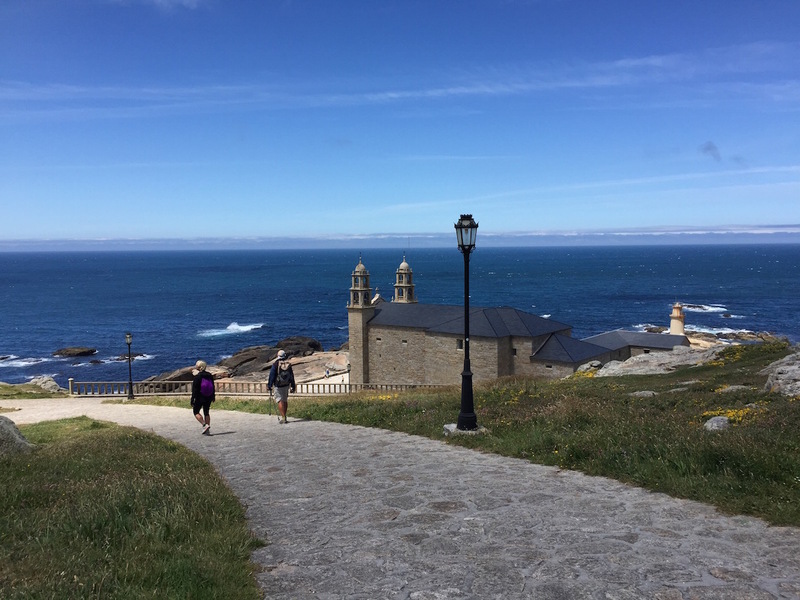 Camino Life Lesson 1: Somewhere between guilt and pride, there’s a sweet spot. A healthy feeling of accomplishment, with a portion of humility and empathy. It’s fleeting. It comes in fits and starts, something glimpsed out of the corner of your eye—mostly out of focus, but it’s there. When you’re in that sweet spot, you recognize the extraordinary efforts of all pilgrims. When you’re there, you applaud the strength of character it takes to even embark on the journey. When you’re not in that sweet spot, you feel somehow superior to the Sarria throngs. When you’re not there, you secretly (and sometimes not so secretly) abhor the pilgrim who high-speed trains ahead to claim their compostela. That narrow band of light between pride and guilt is always there. I’m trying to spend my days inside that band, but I sometimes (usually) fail. 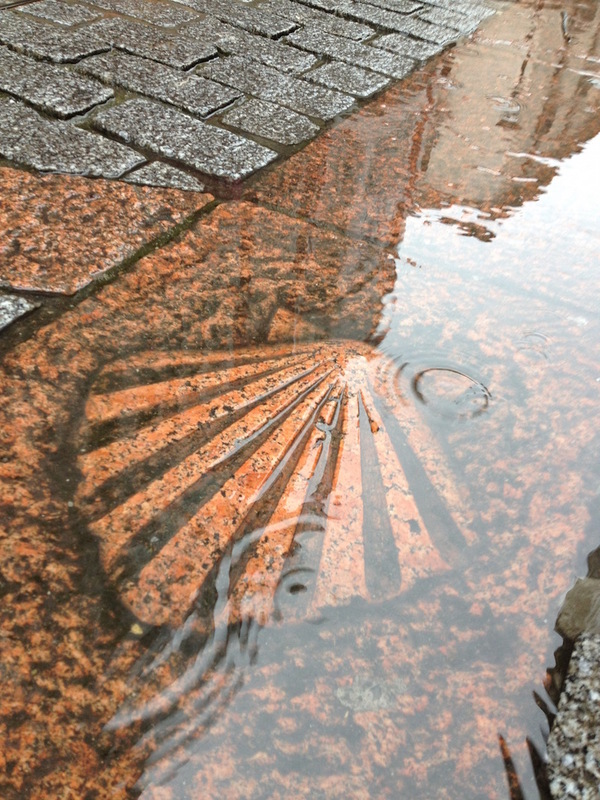 Camino Life Lesson 2: If you’re walking pilgrimage, walk. I’m still troubled by those 8 kilometers from 2013. Is that an ego thing? I’m not sure. All I know is, for me, bussing even a few kilometers cheated me of a sense of accomplishment I had long wanted to feel. The sensation of walking every step is different from walking a bit and riding when it suits you. For me, it was never about walking into the square in Santiago, or catching that first glimpse of the sea. 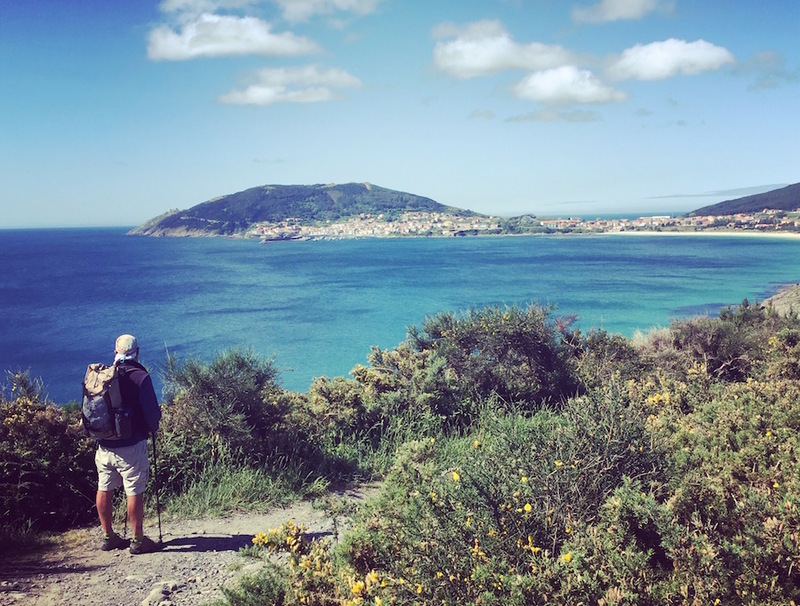 It was always about the million steps along the way between the Pyrenees and Cabo Fisterra, and the joys and frustrations you can only fully share with folks who walked all those kilometers by your side. 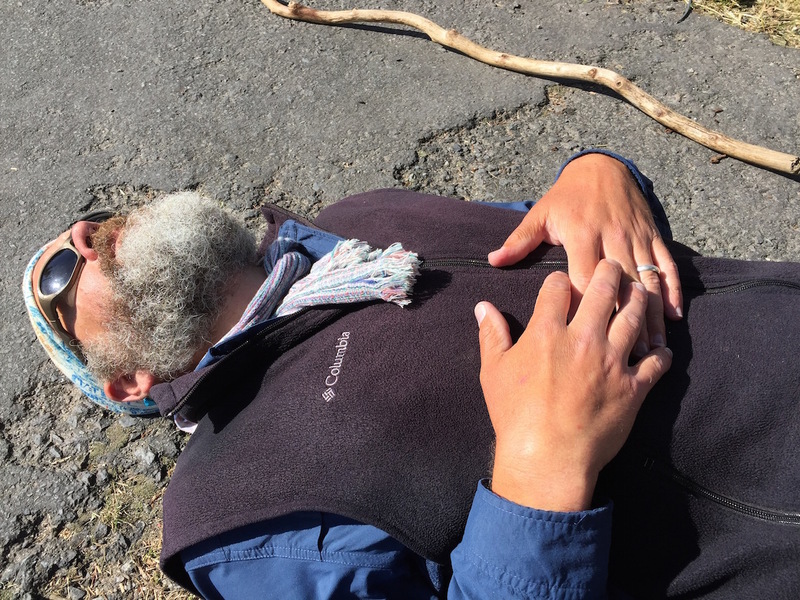 Camino Life Lesson 3: If you’re uncomfortable—well, walk on, brother. Discomfort and injury are not the same. You can, and I would argue, should, endure discomfort. Bored by the flat Meseta? Get over it. Your feet hurt? That’s to be expected. Your shoulder hurts? Typical. You’ve got a blister? Who doesn’t? You have a tummy ache? Is it going to feel better if you stop? If not, walk on, sister. Walk on. If you’re actually injured, then all bets are off. There’s no honor in self-destruction. There is no glory in permanent damage to a body. That’s just ego. If you’re injured, cab or train to the nearest place of treatment. Assess the damage, and move forward as directed by a physician. 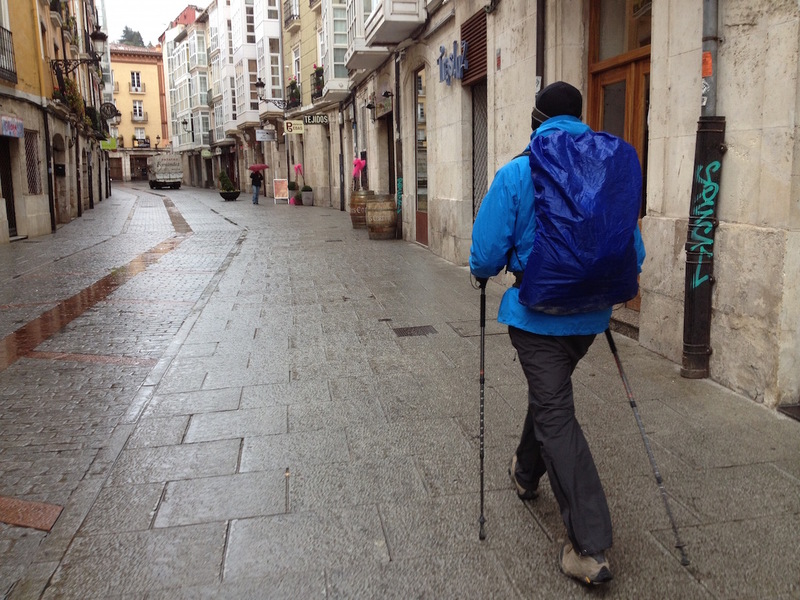 Camino Life Lesson 4: You can make do with less than you think. I walked with less stuff in 2015 than I carried in 2013. And yet, I still hauled too many things. Trust me: You can make do with less. It took a second Camino for me to grasp how anxious the unnecessary junk in my life was making me. When we got home from Spain this summer, I felt irritable every time I climbed the front steps of our 100-year-old house. Our closets were stuffed full. On every surface, there were piles: old magazines, books, unsorted mail. I lost patience with the piles and embarked on a ruthless purging mission. We emptied closets, drawers, and a storage shed, filled more than 80 garbage bags with worldly goods, and sent it all away to Goodwill. Now, the simplicity of our old, much emptier house calms me. As I wander forth and back across that narrow band of light, that sweet spot between guilt and pride, I feel as free as I ever have—except, of course, for those six weeks when I carried everything I needed in the world in a small backpack. I bet your friend who was off to a new job in Italy had a more enjoyable and memorable night in Burgos than if his friends hadn’t acted so spontaneously to spend a last evening with him. Maybe you’d all have felt guilty if you’d left him to spend his last night alone. Great life lessons whether walking a pilgrimage or not! And the stuff lesson too…it’s so sneaky the way the stuff leads to anxiety. Wasn’t the stuff supposed to make us happier? Nope. Lovely post. Hal, I absolutely loved this. My favorite lines were “somewhere between guilt and pride, there’s a sweet spot” and what you said on point three, “If you’re uncomfortable—well, walk on, brother. Discomfort and injury are not the same. You can, and I would argue, should, endure discomfort.” I think sometimes in our culture we rule out struggle and challenge and look for the easiest way to our own detriment. Also, you already know I’m totally with you on the purge thing too. No more clutter! My closet is in for another go this weekend. aspyinthehouseofwords, you are so right. I cherish that night with Raul and the rest of our wayward band of pilgrims. Wouldn’t trade it for anything in the world, including those pesky 8k. Paula, Yep. Stuff is not the answer. Thanks all for the comments and the wisdom. I took a bus into Leon on my Camino because I was healing from tendinitis. I made a promise to myself before I started that I would be good to myself, and so I was. I stayed two days with the Trinitarian nuns and felt refreshed to continue my journey. Hope your second pilgrimage purged you of guilt, just as you are purging your home of excess. No one needs guilt! After three caminos I can relate to all your life lessons. I am a lot less judgemental now, although still feel some pride in having walked every step of the way. Lesson 4 is my favorite. It’s easy for me to follow!